When I go out to brunch at my favorite breakfast place Egg Harbor , I love to get their egg skillets. They come hot to the table and are full of my favorite veggies, meats, egg, and potatoes in one dish. Last time I was there I asked the waiter what they put on their delicious breakfast potatoes and she informed me that they sell their own seasoning salt so I promptly bought it. 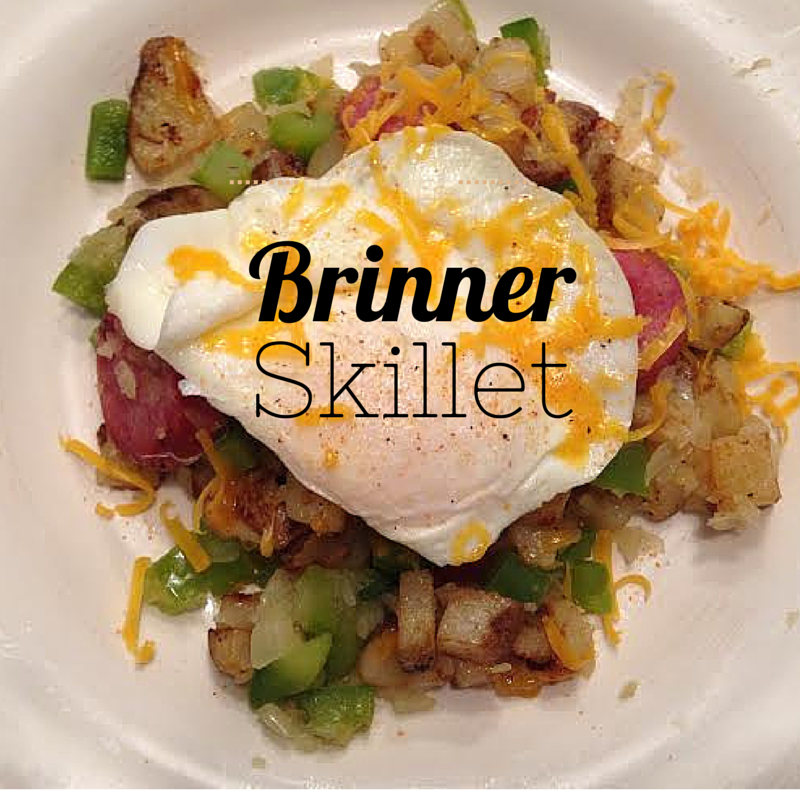 After seeing this yummy kielbasa potato hash from The Two Bite Club, I was inspired to make a Brinner (breakfast + dinner) dish that combined my love for veggies, breakfast potatoes, kielbasa and eggs. Serves 3-4. 1. Warm up a skillet on the stove. Add in 2 Tbs of olive oil and the diced potatoes. Add in 1/2 Tbs of seasoning salt and a dash of salt and pepper. Cook, stirring every so often until they are golden brown, fried and soft. It takes about 15 minutes. 2. Heat another skillet and add in 1 Tbs of olive oil. Brown the sausage for 5-6 minutes. Remove and set aside. 3. In the same skillet where the meat had been, add the onion and pepper. Add a pinch of salt and pepper. Cook until onion is translucent and pepper has softened. Then add minced garlic. 4. Combine the veggies, meat, and potatoes in one skillet and keep on low. In the other skillet, cook the eggs to your liking. Serve on a plate with an egg on top, sprinkled with cheddar cheese and a dash of seasoning salt.